From all indications the New York Giants are going to bring back free agent defensive tackle Johnathan Hankins, as reports says the team has a multiyear offer on the table. While it’s obvious Hankins’ goal is a sizable payday, it could be difficult to come by for a player who has only drawn reported interest from one other team, the Dolphins. And unfortunately for Hankins, Miami doesn’t seem particularly gung-ho on the 25-year-old, as it’s only searching for a rotational defensive tackle to play with Ndamukong Suh and Jordan Phillips. 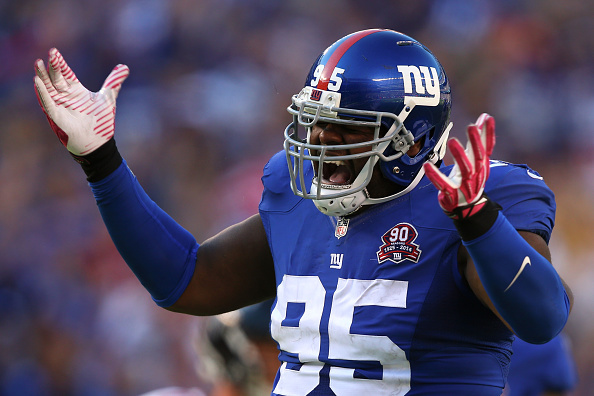 On the other hand, Hankins has been a full-time starter in New York since 2014, his second season in the league. By retaining Hankins, which Jones expects to happen, the Giants would return all 11 defensive starters from last year, she notes. That would be an auspicious development for a team whose defense topped the NFC in DVOA and finished second overall in the league, trailing only the Broncos’ all-world stop unit.